Lamina elliptic in outline, pinnately compound, irregularly bipinnatifid, pinnae obtriangular, 12-18 x 6-10 mm, bases cuneate, apices deeply incised. Segments 2-3 mm wide, apices obtuse, with or without a single hair, adaxially and abaxially hirsute with appressed hairs interspersed with short glandular hairs. Petiole 30-50 mm long, rigid erecto-patent. Stipules subulate, adnate to petioles for 1/2 to almost full of their length. Scape, bearing 2-5 pseudo-umbellets, each with (3-)5-8(-10) flowers. Pedicel cca. 0.5 mm. 5, lanceolate, apices acute, 5.5-7 x 1.5-2.5 mm, posterior erect, others reflexed. Hypanthium 13-25 mm, green or pale reddish brown. 5, pink, posterior two with wine-red feather-like markings, ligulate or narrowly spathulate, apices emarginate, 11-16.5 x 2.2-3.5 mm. Anterior three narrowly spathulate, bases attenuate, apices rounded, 10.5-14 x 2-3 mm. 5 fertile, concealed within the floral sheath, posterior one 2-3 mm, lateral two 3-5, anterior two 4-6 mm. 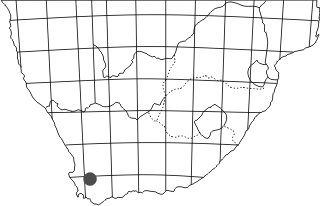 P. petroselinifolium has a small distribution between Gydo Pass and Karoo Poort. 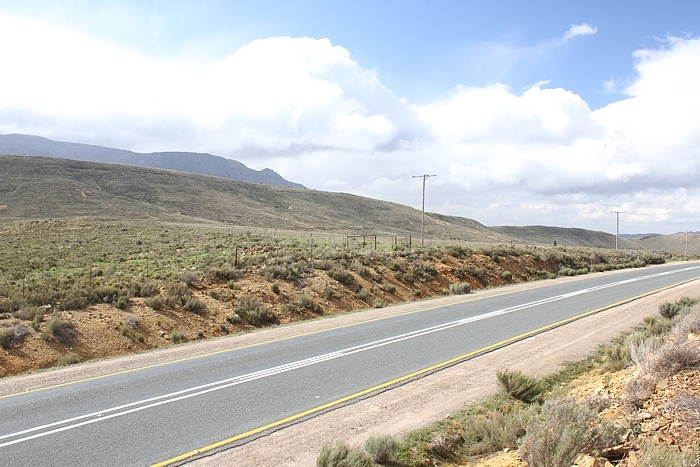 Theronsberg Pass is almost in the centre of its range and is a rather lazy 'pass' - there is barely an elevation and is easily one of the least noticeable passes in the Cape. 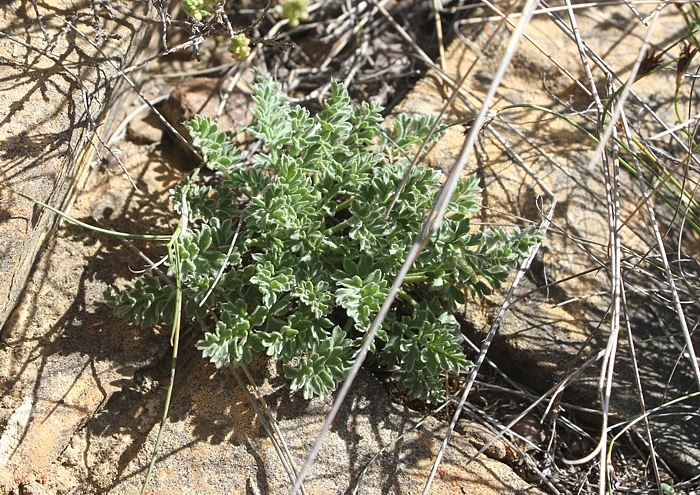 Although covered in karooid vegetation, it still receives a sizeable amount of rainfall.